Dearborn, Mich.: We Are Not Under Shariah Law! The world of right-wing extremism produces people who so deeply believe in conspiracy theories woven out of fantasies that they stop being able to distinguish between reality and fantasy – or, in some cases, satire. And in the case of Dearborn, Mich., this week, satire was mistaken for reality by a large number of such people. An article published at a satirical website mocking right-wing paranoia about Shariah law (Muslim religious law) being imposed in the United States – headlined "City in Michigan First to Fully Implement Sharia Law" and informing readers that Dearborn was now under Muslim control – was mistaken by a large number of people for the real thing. Spread widely through social media, the story published at the National Report satire site – which publishes fake news in the manner of The Onion, though perhaps more obliquely – sparked an outpouring of outrage from conservatives who have been warned by a number of conspiracist anti-Muslim organizations that Islamic radicals intend to begin imposing “Sharia Law” in the United States. 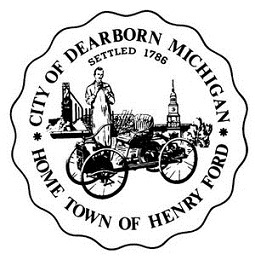 Thousands of phone calls and E-mails came pouring in to Dearborn City Hall. The National Report specializes in satire mocking extremist fears, often by taking them to their illogical conclusion. A similar satirical piece conned Fox News pundit Anna Kooiman into believing that President Obama intended to keep the International Museum of Muslim Cultures open during the government shutdown by paying for it out of his personal funds. She then went on Fox News’ “Fox and Friends Weekend” program and told her audience that Obama intended to do this, adding: “It really doesn’t seem fair.” She later retracted the remarks. But the reason the Dearborn satire sparked such a reaction was that in many ways it told paranoid Muslim-bashers that fears they had warned about were coming true. Dearborn in fact has one of the nation’s largest Arab-American communities by percentage of population, and as such is an active center of Muslim worship. That in turn has produced a great deal of paranoia about the town by right-wing conspiracists, especially since 2001. A 2012 Atlantic article, “Dearborn: Where Americans Come to Hate Muslims,” explored the great extent to which the city is a magnet for Muslim-bashers (notably the Islam-hating Florida pastor Terry Jones) and people committing acts of violence as well, including an attempted bombing of a Dearborn mosque. Despite the mayor's comments, it seems hard to believe that so many people would swallow the National Report's tall tale, which was replete with sentences like this one: "The new law could see citizens stoned for adultery or having a limb amputated for theft. Lesser offenses, such as drinking alcohol or abortion, could result in flogging and/or caning. In addition, the law imposes harsh laws with regards to women and allows for child marriage." Attempts at contacting the editors of the National Report were not successful.